Laura’s is the source for all of your Christmas decorating needs on Long Island, NY. Come in and check out our showroom, filled with a wide selection of lifelike Christmas trees. Every one of our trees are uniquely decorated to fit an individual color theme, featuring a variety of ornaments, stems, ribbons, and lighting patterns. These beautifully decorated trees come in a range of sizes to fit any space, from miniature 2’ trees to enormous 12’ ones. If you’re just looking to spruce up your own tree, come by and browse through our selection of accessories and decorations. We have everything you need to make your tree stand out from its skirt to its topper. For the rest of your house, we have you covered, too. 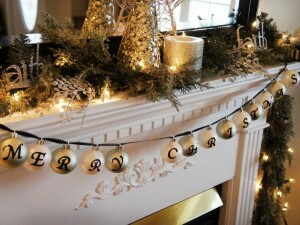 Pre-lit garlands and wreaths— all hand decorated— are available to fit any style. And don’t forget about tabletop decorations, including candlesticks, lanterns, and collectible figurines. Everything that you need to bring a sense of beauty and elegance to your holiday gatherings is right here. If you aren’t sure where to start, come in and let our designers help guide you through your home’s holiday transformation! Our knowledgeable and enthusiastic staff will be delighted to help. And if you’ve got anyone left on your shopping list, we offer a wide and unique selection of hostess gifts and specialty items that are sure to bring smiles to your loved ones’ faces.